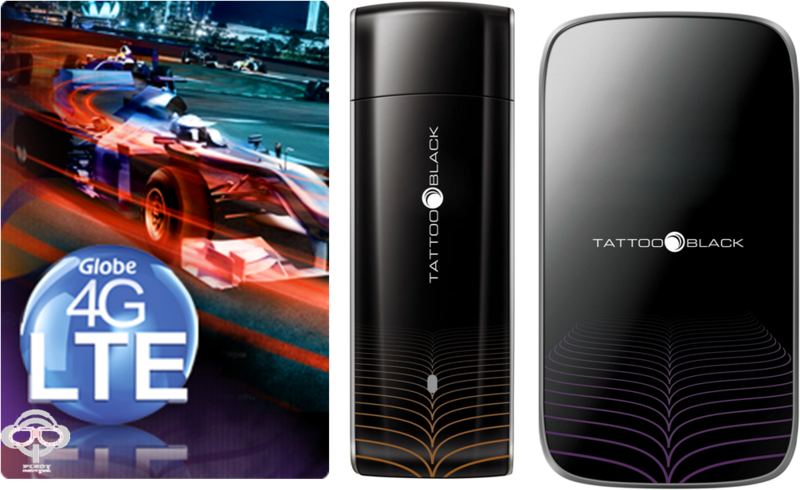 Globe unveils the long-awaited 4G service with Tattoo Black! This premium mobile broadband stick is powered by LTE (Long Term Evolution) that boosts download speed up to 42Mbps. Likewise, this service will also be utilizing Globe’s existing HASPA+ network. Initial location will be in Makati City and will eventually expand over Metro Manila. The service was available last October 28 and Globe is giving unlimited data consumption until January 31, 2013. Tattoo Black comes with two customized plans. First, the Tattoo Black Plan 1799 offers free USB Tattoo Stick. It’ll have an upgraded Superstick option (adding 150 Php per month) that could let you share Tattoo Black’s connection to 5 devices (Mobile WiFi). Speed is only up to 28 Mbps. Meanwhile, the Tattoo Black Elite 2499 has speed up to 42 Mbps and comes with a Superstick upgrade right away. Globe will activate 50 sites in Makati by the end of October so you’re assured that connection in the city is strong enough to fire up your Tattoo stick. Moreover, the part SingTel-owned company added that they will “aggressively” put up 50 more sites all over the country by the end of the year.